With over 15 years in the global entertainment industry, Panayiota developed a unique perspective and expertise in international marketing, sales, and production for top brands and content companies. She began her career working with global advertising companies such as McCann, McGarryBowen, and Saatchi & Saatchi, producing commercial campaigns for brands including L’Oréal, the NBA, Virgin Mobile, and Acura. Panayiota then moved to Reed MIDEM working as Sales Director for the Americas, managing 50+ major content brands and generating multi-million dollar revenue. 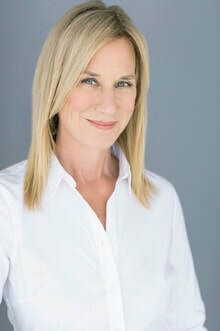 In this role, she cultivated strong senior-level relationships with hundreds of key buyer and media contacts working with clients such as Lionsgate, MGM, Miramax, eOne, WME/IMG, The Jim Henson Company, IM Global, and Electus. With over 20 years working for international media organizations, MJ gained extensive experience and over 2.5K top level connections within the entertainment industry. In 2011, she began MJ Global Communications LLC with clients such as Star China, Zee TV India, GRB, Mongol TV, Bomanbridge Singapore and others. MJ began her career at MTV Networks, helping grow the brand internationally as well as launch MTV Europe in London, and worked in marketing and programming. She went on to head Marketing & Communications at IATAS (International Emmy Awards) where she produced events in Singapore, Hong Kong, South Korea, Jordan, France, etc. Then at Reed Midem, MJ's positions as Exec Director of Client Services & Partnerships as well as Exec Director of NA Sales gave her the opportunity to work closely with NBC, CBS, Lionsgate, Discovery, A+E, Scripps, among others. Speaking engagements include The Format People Producers Master Class in Beijing 2016 and KOCCA's Producer Master Class in Seoul in 2015. MJ served as a Board V.P. of Communications NYWIFT. ​Pink Orchid International is an LLC company, registered in New York State in 2017. PINK ORCHID INTERNATIONAL® logo is a registered trademark owned by Pink Orchid International in the United States and/or other territories.